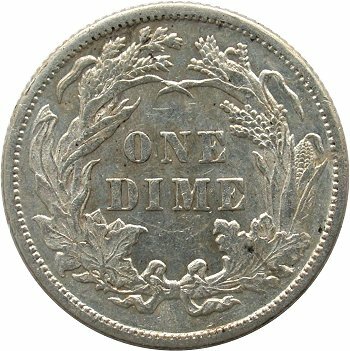 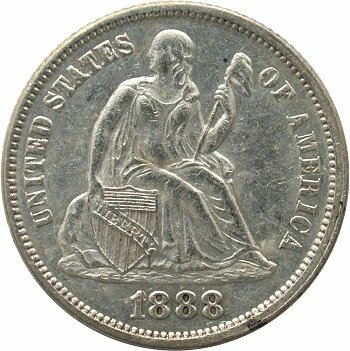 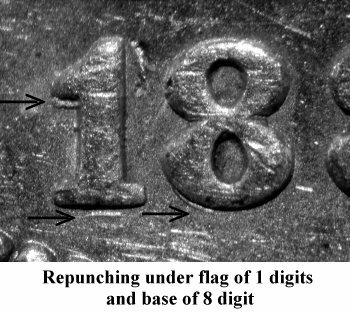 Comments: On Obverse 4, repunching is seen on the 18 digits. 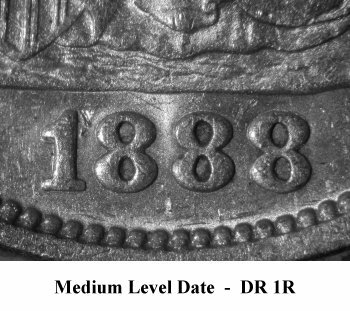 Repunching is visible below the flag and the base of the 1 digit and at the bottom of the lower loop of the 8 digit. 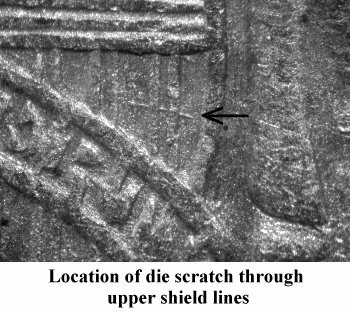 There is a die scratch above the scroll and through the upper shield lines as illustrated above.